I Am Sausal Creek is a bilingual English and Spanish picture book about the history of Oakland told through the voice of a local waterway. "I love this book. There are so many layers. The illustrations are deceptively gorgeous, because they are also a visual narrative about values. The story is surprisingly easygoing, because it is also a people's history and an environmentalist allegory. And most of all, I Am Sausal Creek is a story about resilience and renewal, which is to say, it is a story about Oakland." All of our books are printed locally in Oakland, CA. We strongly believe in supporting local publishers and local printers. August 2015 • 8.5 x 11 • 40 pp. Want to know more about this author? Click here to be taken to their author bio page. On the first page of the book, the creek introduces herself and invites the reader to sit and listen to her story. As she winds through memories of watching the Ohlone move freely around her shores, the arrival of people in search of gold, streets being paved, and more, she reminds us that through of this, her water still flows. The well-researched text is accompanied by vivid, full-color illustrations created by the talented artist, Robert Trujillo. In the back of the book, there is a two-page supplemental narrative that offers a more in-depth exploration of the history of the Sausal Creek Watershed and the surrounding neighborhoods. While this book explores the story of a local waterway, many of the themes are universal. As children read about the changes that have taken place over time and the impact different people have had on the landscape and each other, they also see the creek's resilience and understand how integral water is in supporting life. "I love this book. There are so many layers. The illustrations are deceptively gorgeous, because they are also a visual narrative about values. The story is surprisingly easygoing, because it is also a people's history and an environmentalist allegory. And most of all, I Am Sausal Creek is a story about resilience and renewal, which is to say, it is story about Oakland." "I Am Sausal Creek is a story of redemption. It is the story of one creek in Oakland, CA, but it could easily represent thousands of other creeks across the United States. Melissa Reyes take us on a journey of 300 years—from pristine wilderness, to degradation, to redemption. She shows how people can and do make a difference in making what was once beautiful, beautiful again. I highly recommend this book for both its historical accuracy and message." "Connection to history of place is how we recognize ourselves as part of a continuum from the past to the present and into the future. I Am Sausal Creek offers young readers an opportunity to recognize their connections to the natural world and the effects of agriculture, animal husbandry, deforestation, and urbanization; and in turn, to help protect our natural resources for generations beyond their own. 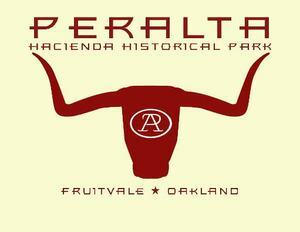 It also offers families a local adventure into Oakland’s living natural history. I write you to highly recommend a grant for Melissa Reyes’ children’s book, I Am Sausal Creek. "Environmental justice for children at its best! Reyes captures the essence of Sausal Creek and how it has flowed through time. I Am Sausal Creek teaches children the history of Bay Area communities and ecology through the creek’s perspective. My third graders absolutely love this book and it was easy to incorporate into my social studies, science, and writing curriculum." "Melissa’s book fills a huge gap in teaching primary students about how people can affect their environment. Teaching the history of this beautiful watershed here in Oakland helps young children understand the work that environmentalists do and its importance. If children then get the opportunity to participate in restoration they can be pro-active, becoming passionate and hopeful about the environment. This book is a tool that teachers can use to encourage their students to understand and do this important work—right in their backyards." This is an absolutely beautiful book in both its illustrations and story. Great for kids of all ages. Trujillo’s pen-and-ink and watercolor illustrations, on a palette of woodsy greens, browns and blues, portray the flora and fauna, and the multi-ethnic mixes of people who have and continue to inhabit this area. I especially like how he’s chosen to show—rather than tell—the positive and negative aspects of the area’s history. Here, in full color, are the Indigenous peoples, living in balance on the land, knowing that all things are related. Here, in stark brown and white, are the “newcomers”—ranchers and their cattle, gold miners, loggers, and later the city with its concrete-filled wetlands—destroying what they have “found.” And here, as people work together, ripping up the concrete dams and digging pools to restore the balance, the color begins to return. And finally, here are two young men, looking down into the water as trout swim around their reflections. As in the beginning—of the story and the creek—all things are related. I Am Sausal Creek/ Soy el Arroyo Sausal is a promising debut, and is highly recommended." Abner Morales, Alan Wesson and Yeye Suarez, Alexandra Alquati, Alvina Wong, Amanda Gean, Andrew Aldrich, Andrew Terranova, Angela Fantini, Angela Normand, Ann Waters, AnnaDorman, Anthony Cifra, Athenia Teng, Aurora School, Barbara Goldenberg, Bobby Cupp, Carl Kohnert, Carol Gugino, Carol Kuelper, Carol Lonergan, Cece Carpio, Chloe Johnston, Christine Cordero, Claudia and Harold Fields, Craig Wiesner, David Ewers, Debbie Psarras, Debra Bronstein, Devin Cormia, Dorothy Garrison-Wade, Elanor Dougherty, Eli Isaacs, Elisha Roberts, Elly and Aya Rokeach, Emily Bean, Eri Oura, Erin Raber, Eugene Kang, Forooza Baradar, Friends of Sausal Creek, Gavin Steingo, Gene Anderson, Gretchen Woelfle, Hannah Sweeting, Helen Lazo, Helene Moore, Hiroko Kurihara, Innosanto Nagara, J. Jimenez and Reem Assil, Jack States, Jane Lee, Janice Lazo, Jashvina Devadoss, Jeffrey Harry, Jen Walker, Jen-Mei Wu, Jennifer Biehn, Jeremiah Jeffries, Jill Guerra Burger, Jim Baack, Jim Cartwright, Joel Tena, Aparna Shah, and Coyo, John J. Nieves, Jordan Haar, Josh Healey, Joy Liu, Joyce Kelley, Juan Gabriel Berumen, Juliana Smith, Justine TenZeldam, Katherine Reyes, Kathleen Frederickson, Kathy Shepler, Katina Papson Rigby, Katrina Jones, Kelly Archbold, Ken Thames, K. S. Peters, Laura Allen, Laura Pappas, Laurie Neighbors, Leah Gallegos, Lee Gargagliano, Liam Flynn-Jambeck, Lilian Autler, Lily Huang, Liz Cruger, Matt Takimoto, Maya Christina Gonzalez, Matthew Smith, Zai and Sky, Megan Whelan, Megan Zapanta, Meshawn and Daisy Simmons, Michael Gast, Mollie Cudmore, Monica Luna, Nancy Rosenlund, Nanette McGuinness, Natalie Levine, Nessa Mahmoudi, Nick Williams, Nicole Mendoza, Nora Dye, Pattie Hsu, Rachel Siegel, Randall Homan, Rashida Braggs, Rhonda Kinard and Andrea Graeser, Richard Kauffman, Rishi Awatramani, Robynn Takayama, Roseli Ilano, San Saephan, Sandra Pacheco, Sandra Venning, Sarah Guerra and Rio Yañez, Sarah Colby, Sarazeta Ragazzi, Sarwang Parikh, Sean Delizo, Seema Patel, Shaun Randol, Sherri Berger, Shiow-Jiau Yung, Sudia Paloma Mccaleb, Summer Brenner, Suzanne Drolet, Tamara Roberts, Terezia Orosz, Vanessa Sanchez, Victor Chavez and Sita Bhaumik, Vivian Huang, Yael Falicov, and Anonymous Donors.